Summertime Means Road Trip To California! BOSTON, MA (July 26, 2016) — Summer is in full swing, gas prices are again falling, and there’s no better spot to take a road trip than the Golden State. With so many new attractions and seasonal events this summer, make the most of your vacation dollar with the Go City Card. A Go City Card is a multi-attraction pass enabling consumers to purchase entry to multiple attractions for one combined lower cost, thereby saving up to 55% in the process, depending upon the pass purchased. For travelers heading to California this summer, there are a lot of new seasonal events and activities at the major parks and the Go City Card is the most cost-effective way to see them all. Go City Cards are available for Los Angeles, San Diego, or San Francisco. 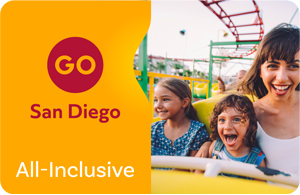 The Go San Diego Card enables access to 40+ attractions. Consumers can purchase an All-Inclusive Pass or a Build-Your-Own Pass. Legoland is always one of the most popular attractions available on this pass. The San Diego Zoo is celebrating its 100th anniversary this year and also has a special Nighttime Zoo celebration. 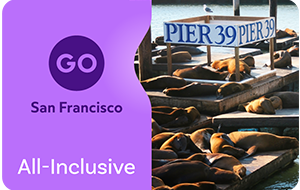 The Go San Francisco Card enables access to 25+ attractions. Consumers can purchase an All-Inclusive Pass, Explorer Pass, or Build-Your-Own Pass. One of the most exciting inclusions for San Francisco is the brand-new SFMOMA (San Francisco Museum of Modern Art). The Go City Card can be purchased in advance or at the last minute and downloaded to a smart phone via the new mobile app. Then all consumers need to do is scan the QR code at the gate and go — no paperwork or tickets needed. Not only do you have your passes and the Go City Card guidebook on the app, but it provides info on how to best get to each attraction from where you are at, opening and closing times, and other key details you need to know all in one place. Go City Card, a division of Smart Destinations, sells multi-attraction passes to 13 of the most popular tourist destinations in the US and UK including Boston, Chicago, Las Vegas, London, Los Angeles, Miami, New York City, Oahu, Orlando, San Antonio, San Diego, San Francisco, and Washington, DC. Go City Cards can be purchased online and instantly delivered to a traveler’s smart phone or they can be bought at brick and mortar outlets within a city upon arrival. Travelers choose from different types of passes to fit their needs including an all-inclusive pass which provides carte blanche to visit any of that city’s included attractions or a “Build Your Own” which enables a traveler to create their own itinerary. Depending upon the pass selected, travelers can realize a savings of up to 55% less than paying at the gate. All passes come with valuable extras including the ability to skip the line at select attractions and comprehensive guidebooks that offer insider tips and bonus discounts on shopping and dining. For additional information, visit GoCityCard.com or call 1-800-887-9103. PreviousThe Sea Pines Resort’s New Atlantic Dunes by Davis Love III Course to Open in Oct.